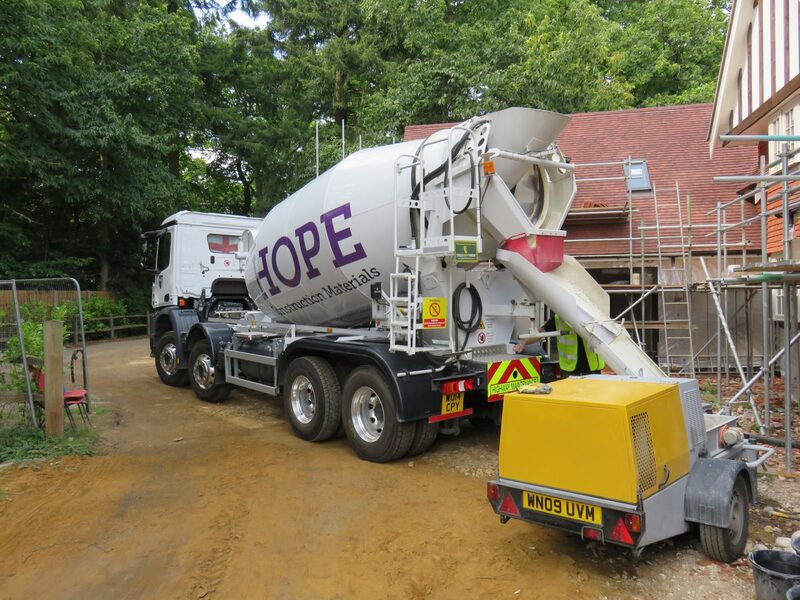 Delivering innovative, quick and economical liquid flowing screed , levelling compound and concrete solutions across the UK, including Bedfordshire, Berkshire, Buckinghamshire, Cornwall, Devon, Dorset, East Sussex, Essex, Gloucestershire, Hampshire, Herefordshire, Hertfordshire, Kent, London, Middlesex, Northamptonshire, Oxfordshire, Somerset, Surrey, East Sussex, West Sussex and Wiltshire. 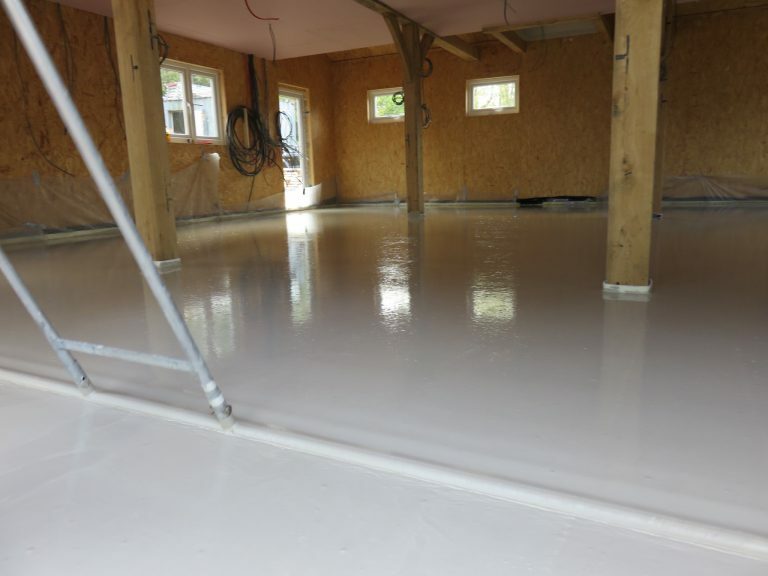 When looking for a superior alternative to traditional sand and cement screed, Express Liquid Screeds will provide you with a product that is quick and easy to pour. 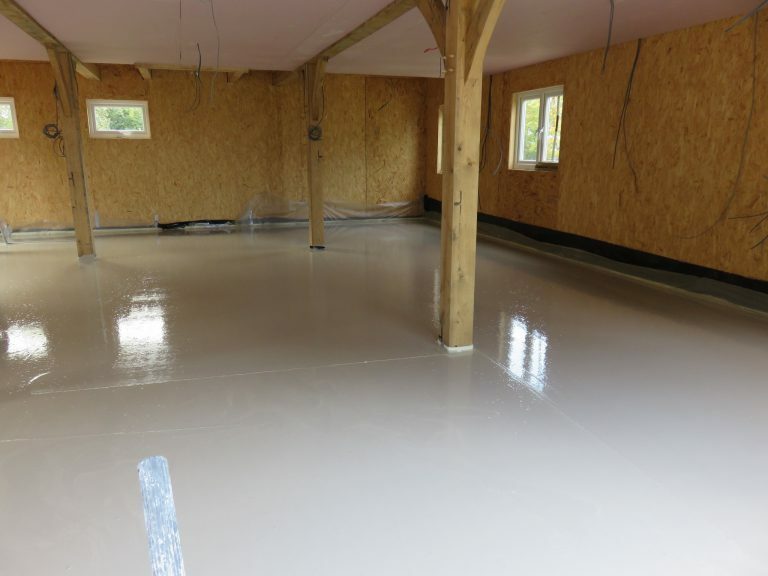 A much better solution for your under floor heating needs, with benefits including increased thermal conductivity and reduced energy bills which all contribute to making it more environmentally friendly than other screeds. 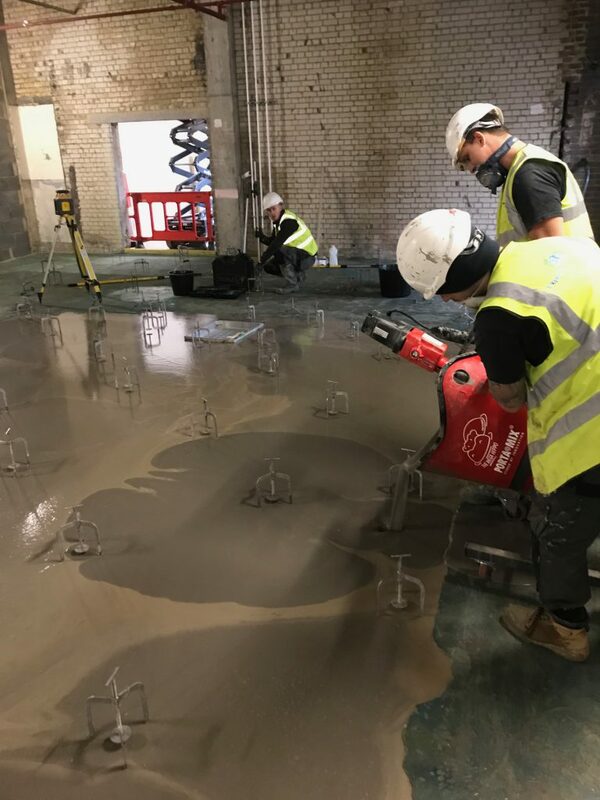 Express Liquid Screeds specialise in the supply of liquid screed, with our specially designed compact concrete/screed pump and mixer units. 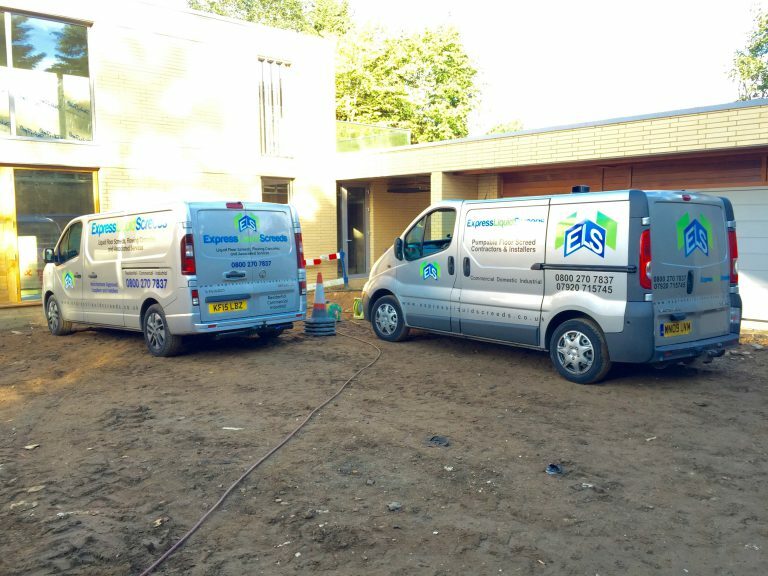 We cater for projects of all sizes and provide a great solution when working in awkward and restricted areas, reducing the risk of damage to driveways, door thresholds, etc. 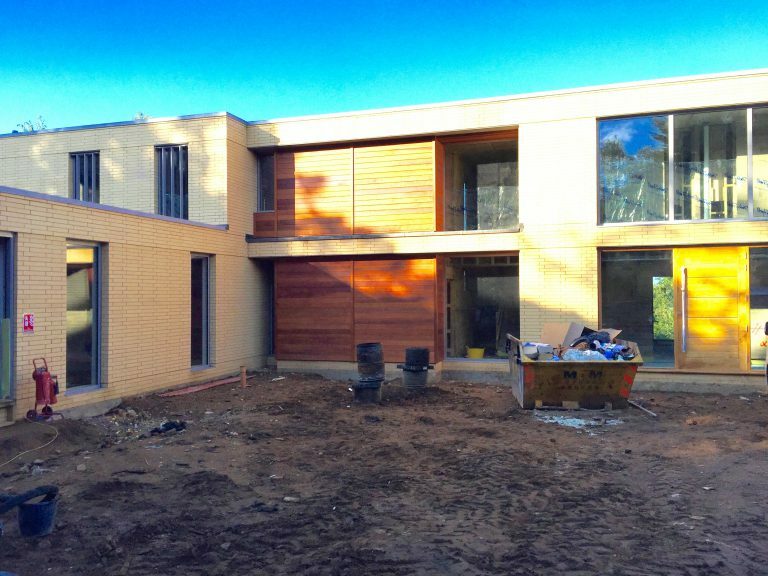 Whether a small domestic building project or large commercial project we are the company you are looking for. 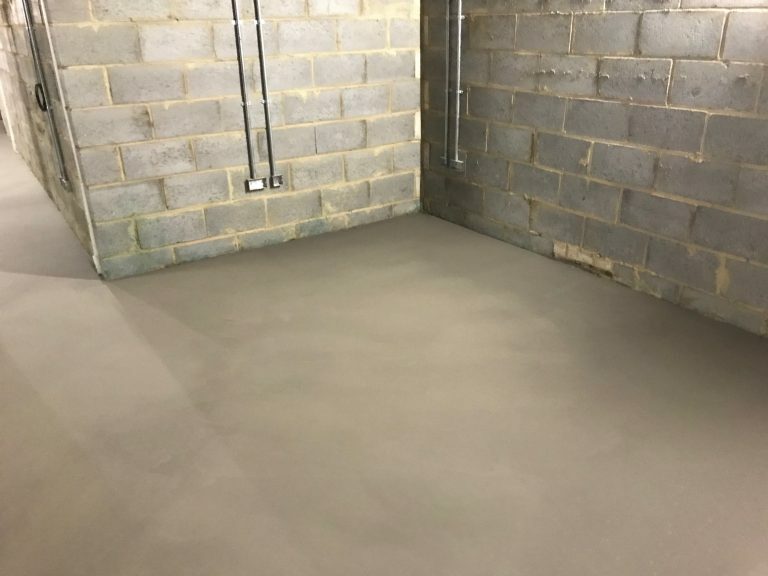 With years of practical experience in the trade and a team of helpful, professional staff, we are keen to provide you with the best materials for your needs. 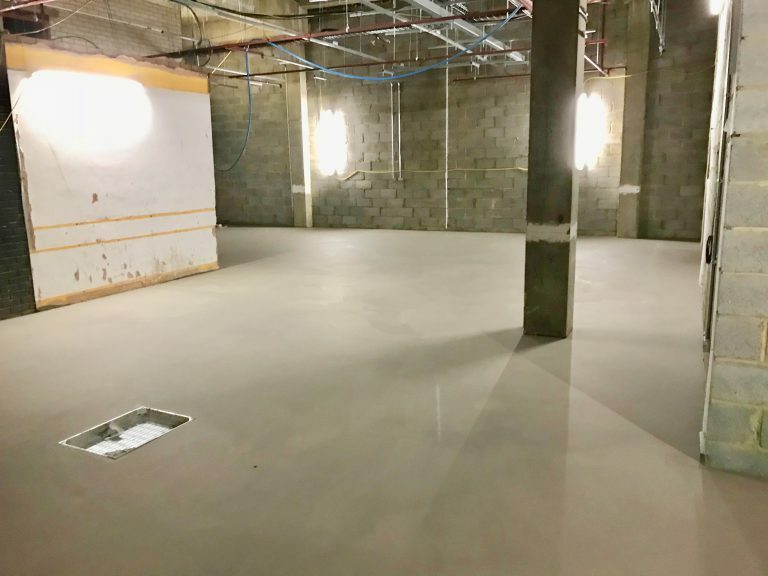 We are approved installers for the Breedon Gypscreed (formerly Hope Construction), Tarmac Topflow, Cemex Supaflo, Aggregate Industries Hiflow, Gallagher Gallaflo, Axtell, Marshall and Brett’s screed ranges. 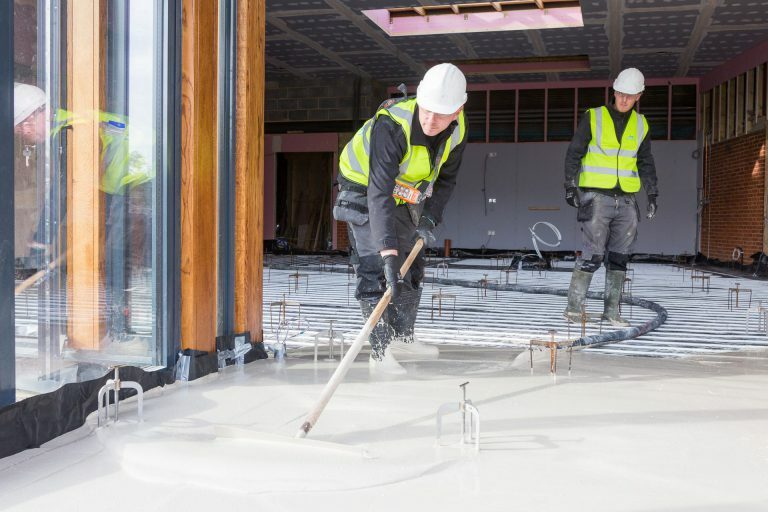 All staff hold a minimum of NVQ Level 2 qualifications in screeding and CSCS, skilled worker cards. 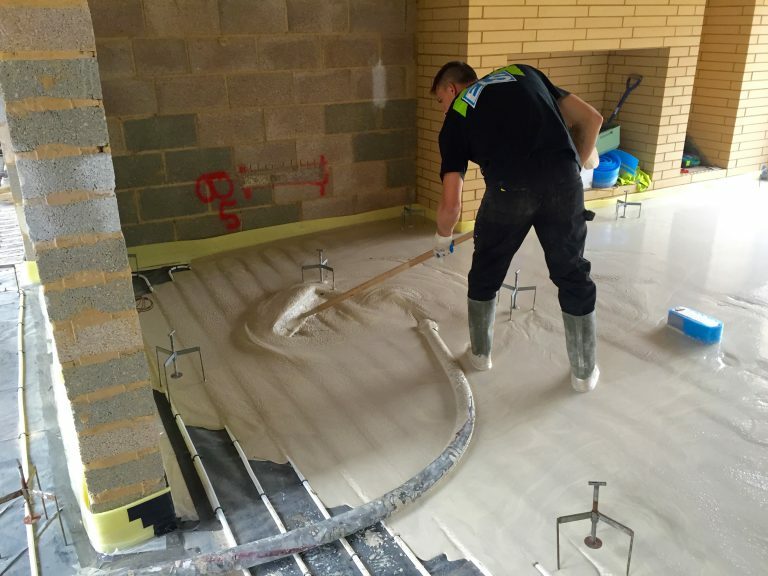 Liquid screed is a new generation screeding product that presents significant advantages over traditional methods. 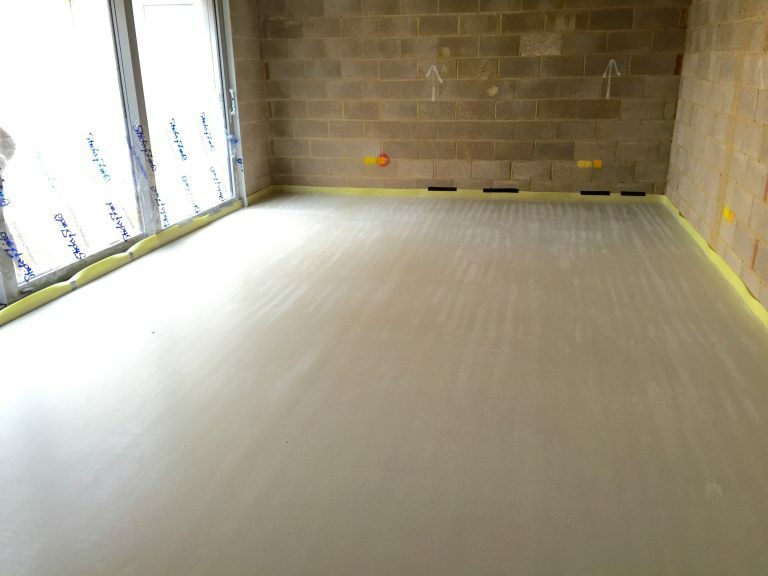 Benefits for today’s builder include: 100sqm of liquid screed laid in under 45 minutes and ready to walk on after 24/48 hours. 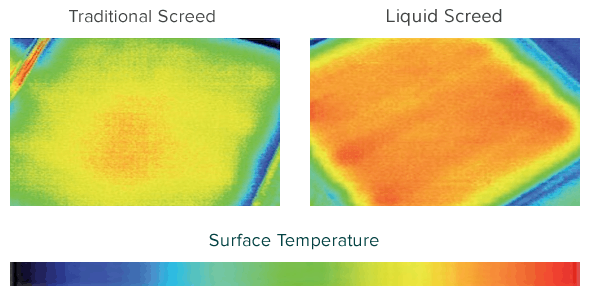 No shrinking, cracking or curling. 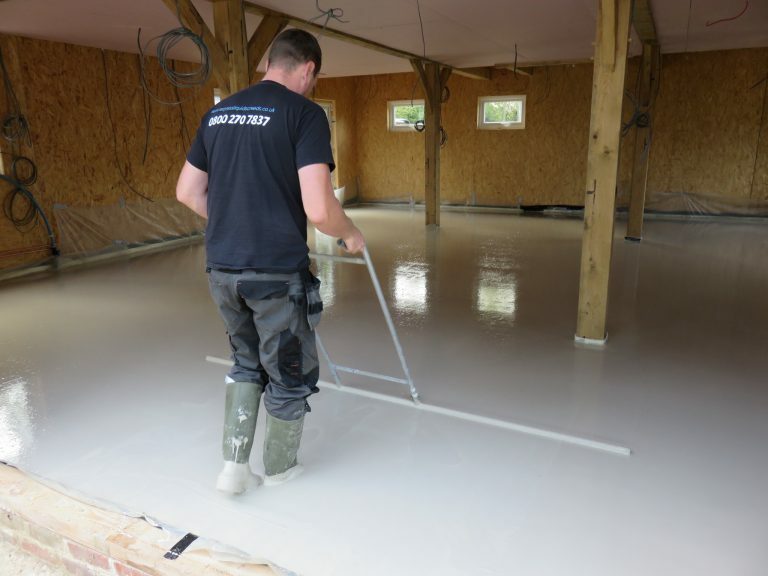 With its improved strength and durability, liquid screed can be laid to a lower depth, meaning less materials per job, therefore overall costs are reduced. 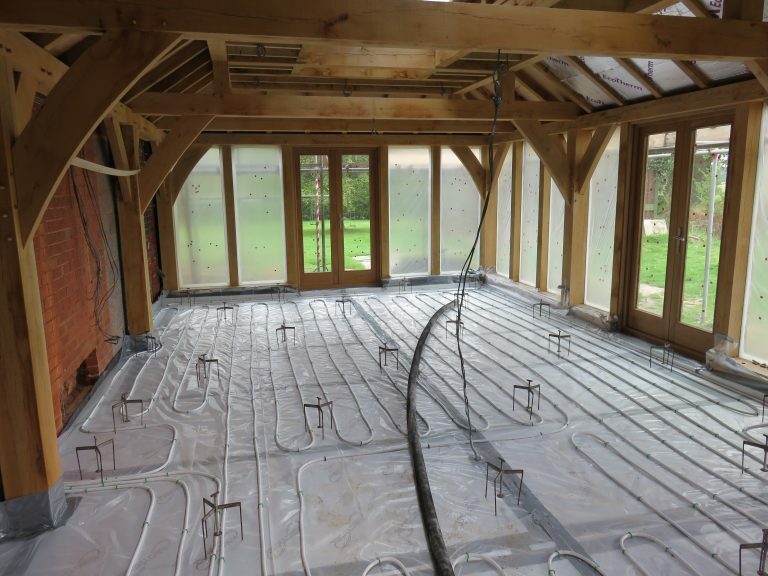 The increasing popularity of these high tech products is driven in part by the growing demand for under floor heating systems and the need to reduce our carbon foot print. 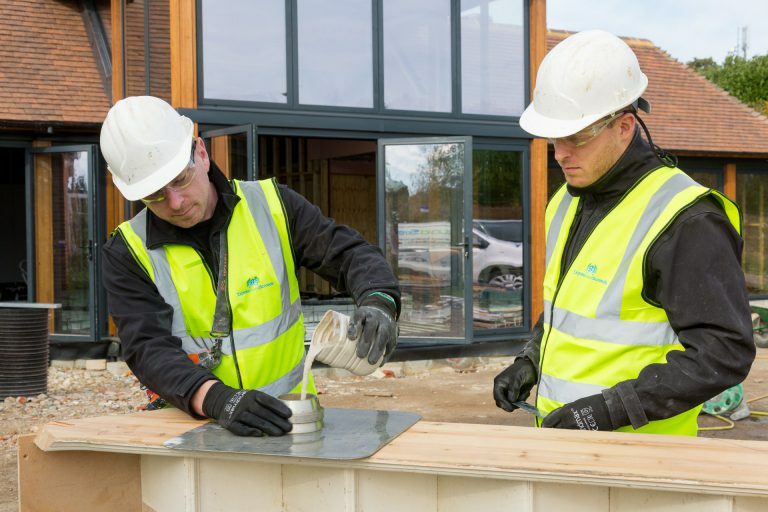 Environmentally friendly products can also improve the chances of winning new building contracts from environmentally aware customers. 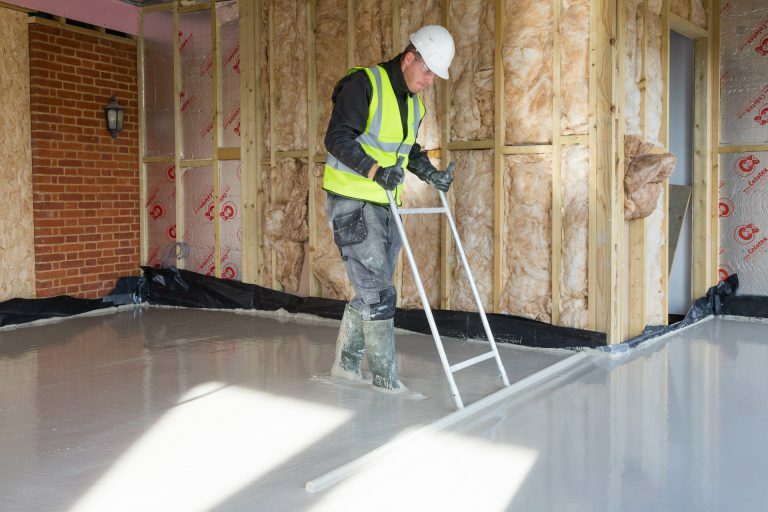 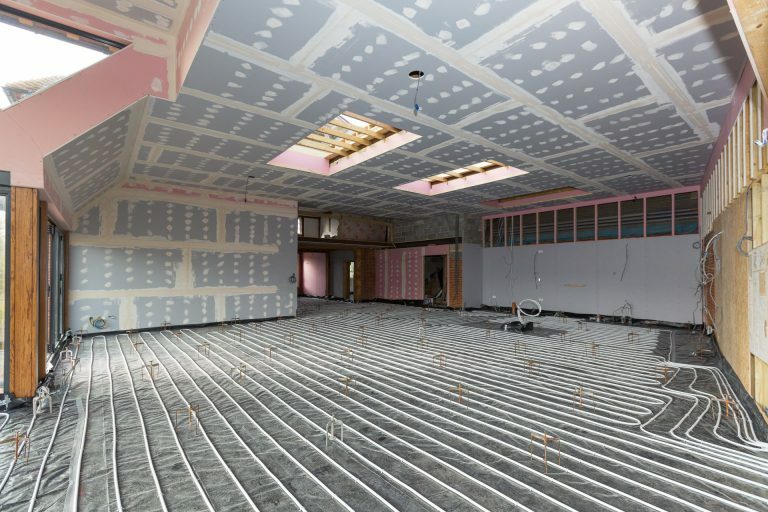 At Express Liquid Screeds Limited, we understand the importance of timing and efficiency in a complex project. 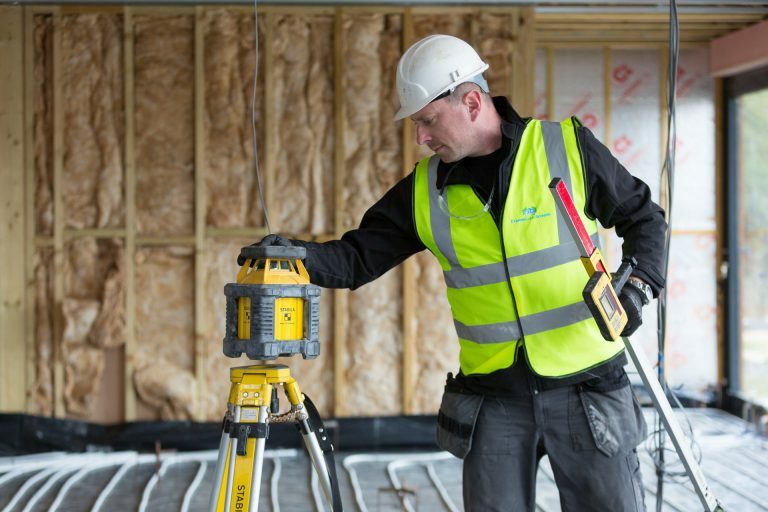 We ensure that our services meet the demands of your needs. 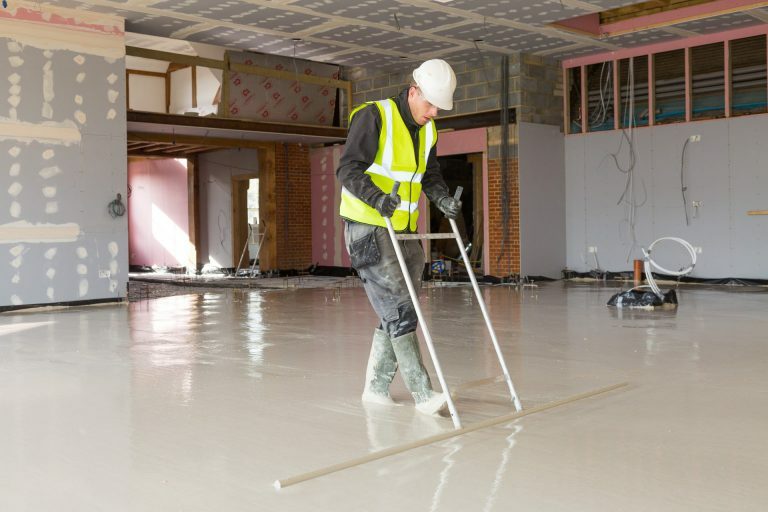 Contact us for a quote today and you will discover the advantages Express Liquid Screeds can offer you and your clients. 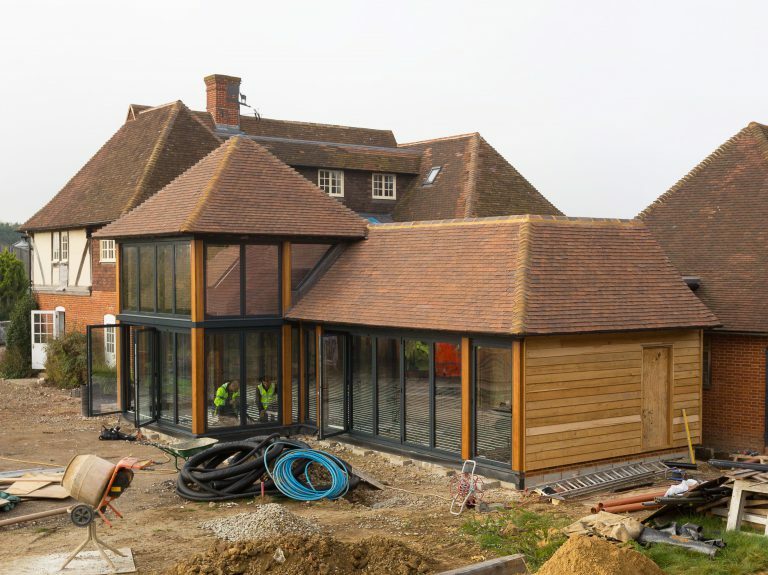 A timber framed house extension. 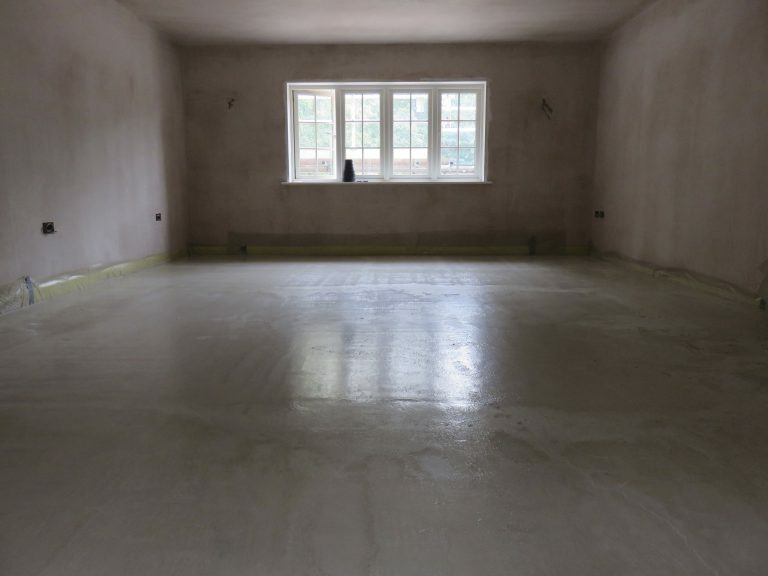 350m2 of Breedon Gypscreed installed at 50mm over underfloor heating to an SR2 finish. 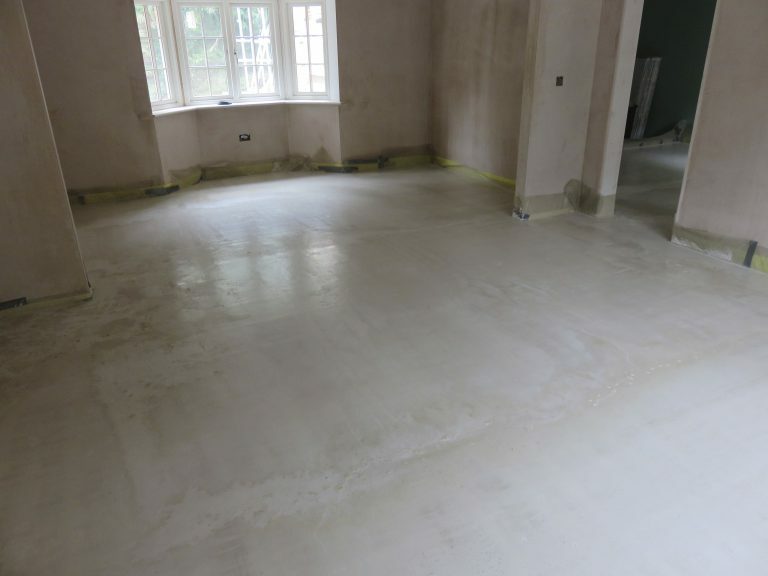 150m2 of Tilemaster Adhesives Level-Flex levelling compound installed in 2 layers. 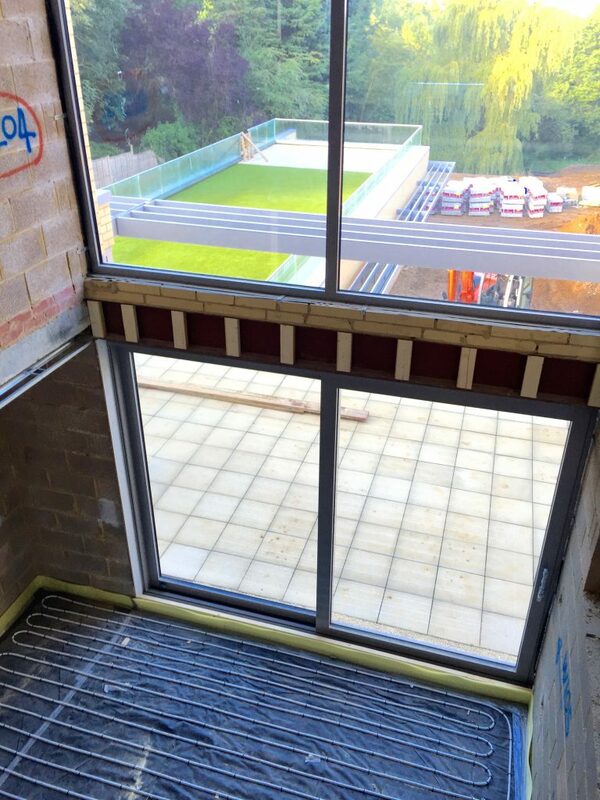 One 50mm deep layer and another 10mm – 25mm to provide an SR2 finish. 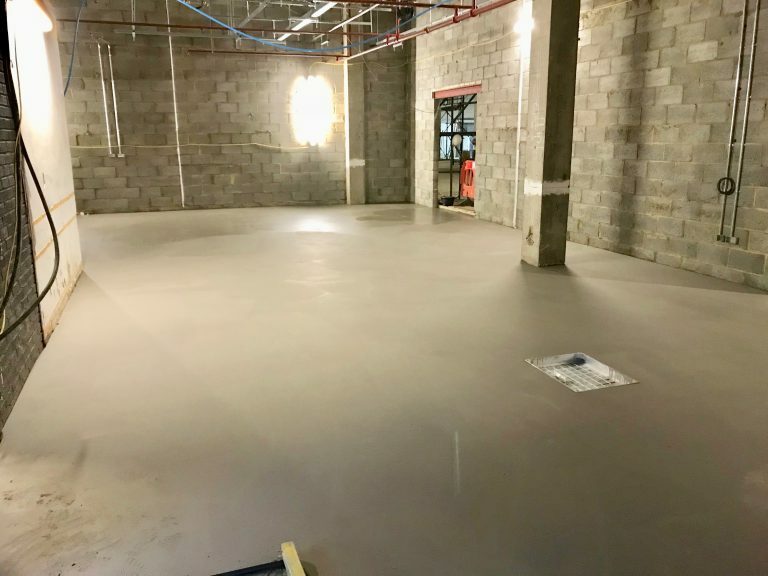 ready for final floor coverings within 3 hours! 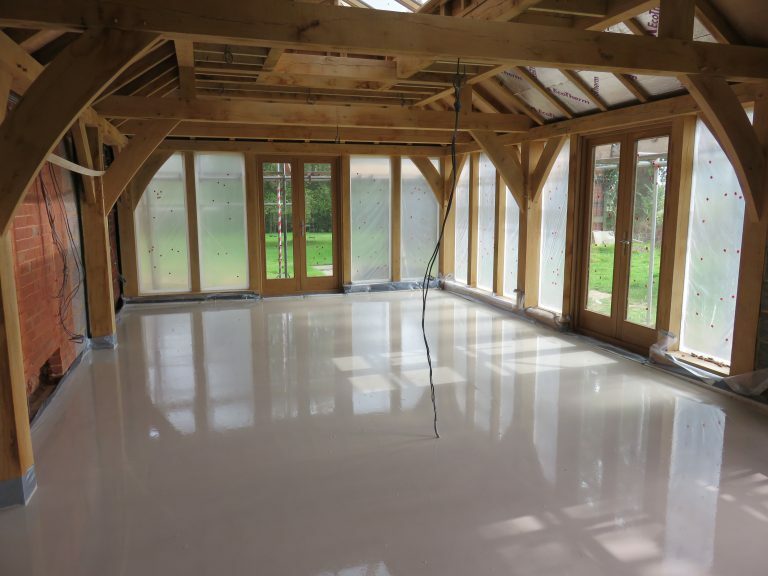 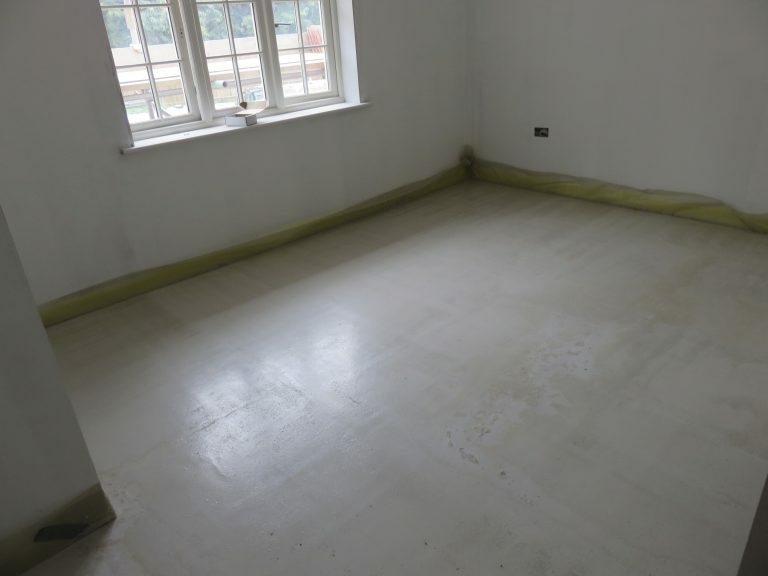 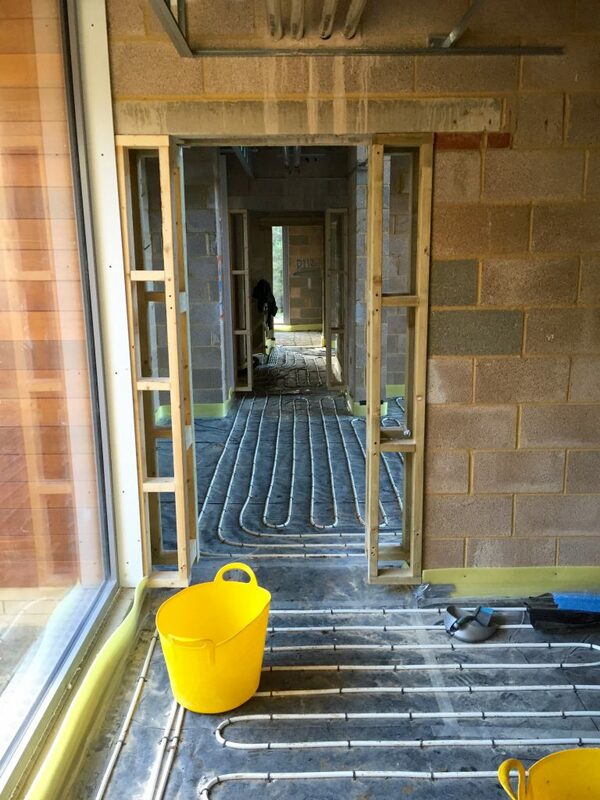 A workshop floor in Surrey with a high strength C35 screed. 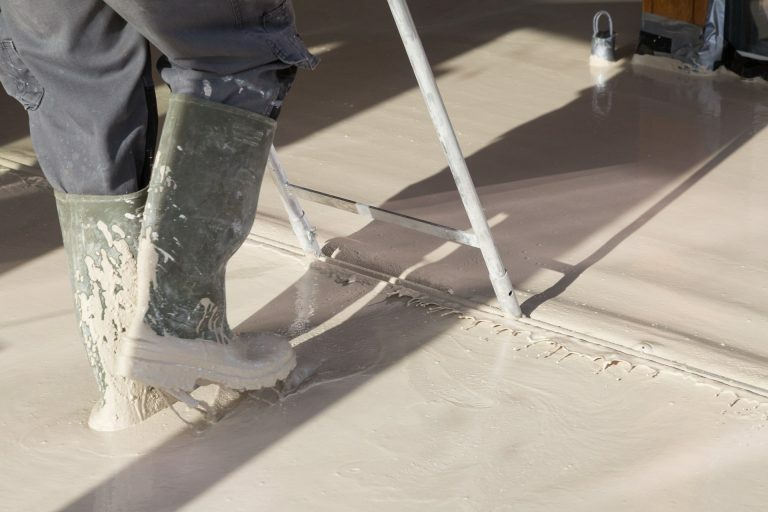 A standard domestic mix from Cemex called Supaflo. 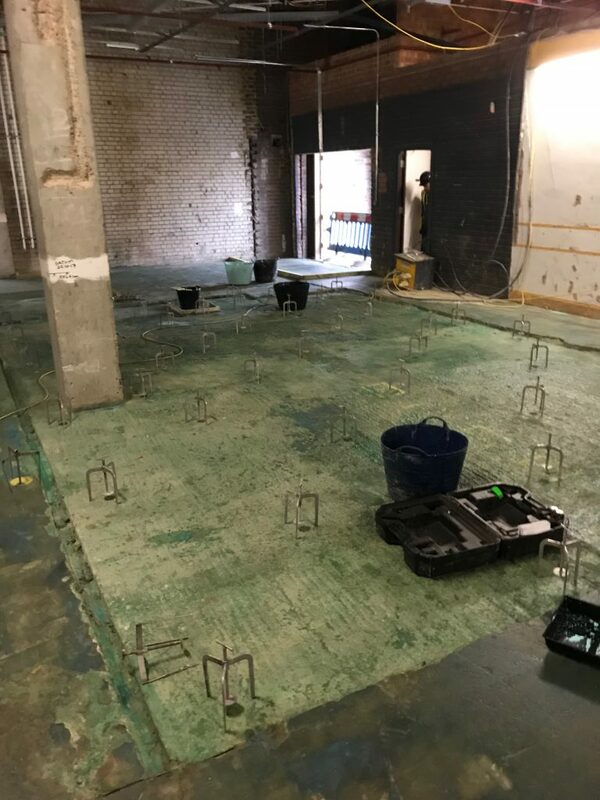 750 square metres at 65mm laid in two consecutive days! 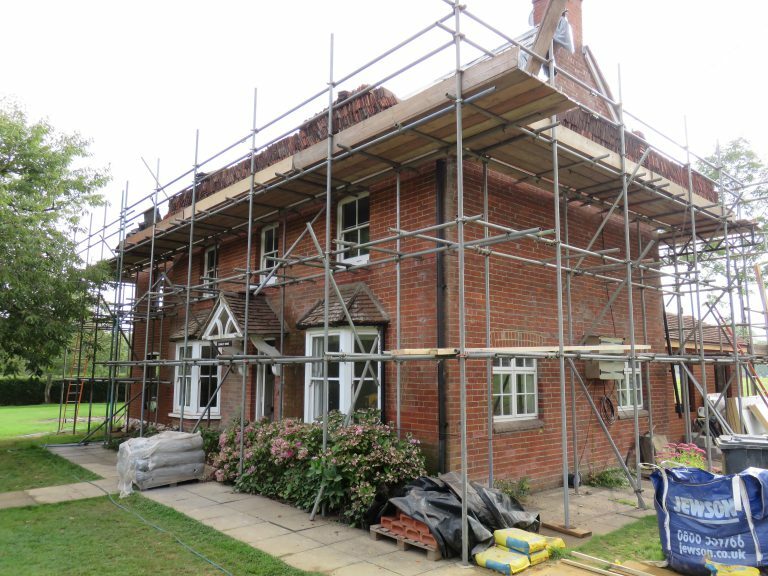 A beautiful farmhouse renovation totalling 200m2. 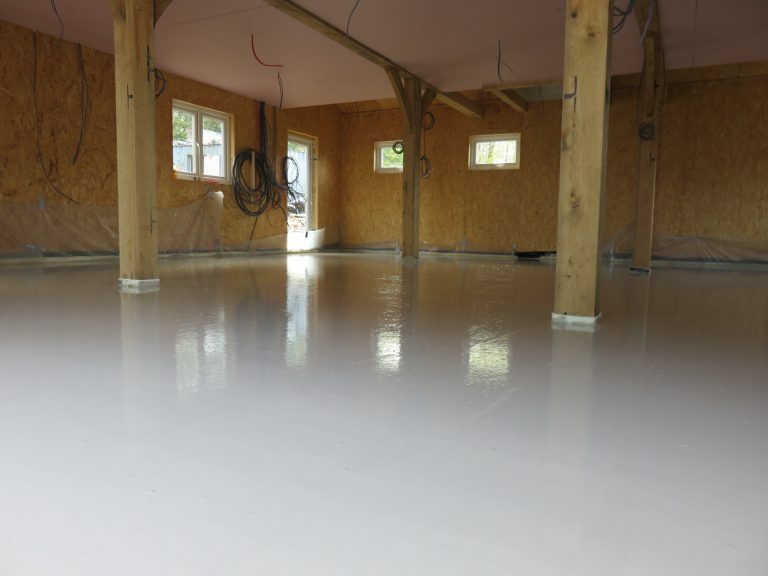 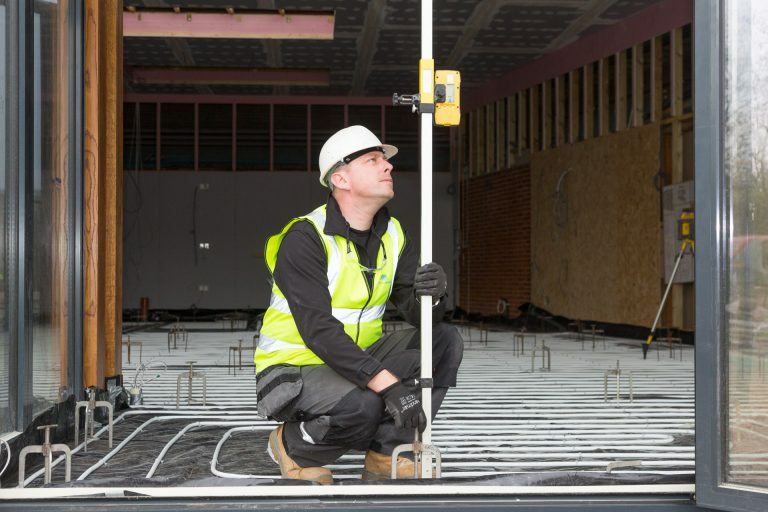 High strength, low profile screed – mixed and delivered by Gallagher.